Basically, there's something for every type of Alexa user on sale for a limited time, starting with 1080p and 4K Fire TV Stick models at a $10 discount. Both diminutive streaming media players come with "all-new" Alexa voice remote controls, undercutting Google's Chromecast and Chromecast Ultra at their own marked-down prices of $30 and $59 right now. While the Fire TV Stick and Fire TV Stick 4K have been discounted before by the same $10, equating to 25 and 20 percent off their list prices respectively, deeper cuts seem unlikely to happen anytime soon, so if you haven't taken advantage of previous deals, today's the day to pull the trigger. The same goes for the hands-free Fire TV Cube streaming device with 4K Ultra HD support, which is once again available at $40 off its list price, as well as the second-gen Echo and third-gen Echo Dot. 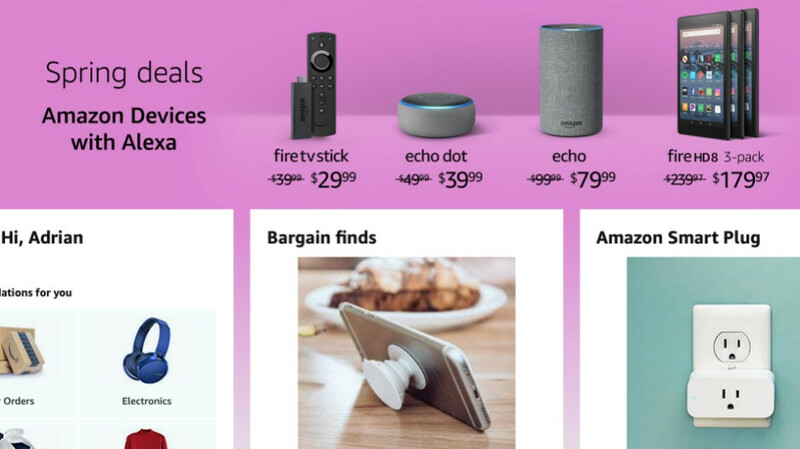 The larger smart speaker is 20 bucks cheaper than usual, while Amazon's direct rival for the crazy popular Google Home Mini is on sale at 20 percent off. Finally, if you need three respectable tablets... for some reason, you can save a total of $40 or $60 on special bundles of the Fire 7 and Fire HD 8 respectively. All you have to do is add three units of your preferred model to your cart and Amazon will automatically apply the aforementioned discounts. Keep in mind that the 8-incher is not only bigger than the 7-inch slate, but also sharper and speedier, while promising superior battery life as well.